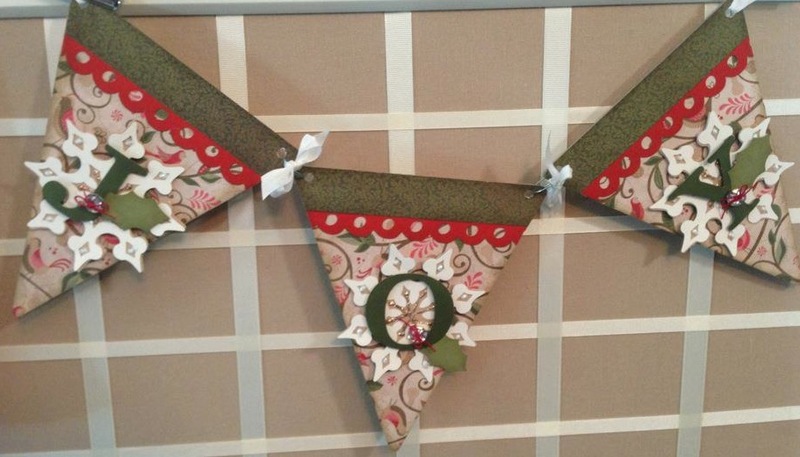 You'll love this festive joy banner! The banner was originally designed by JoAnne Walton and Karen Morris taught us how to make them at our team meeting. Doesn't seeing it just make you happy!! Order the supplies to make it at your own home X7162B Pear & Partridge Paper Packet, Z1751 Baker's Twine, Z1466 Bling Assortment, Z1378 My Creations Banner, Cricut Art Philosophy Collection Z1686, Cricut Artiste Collection Z1790. Click here to order!! To attend a workshop at my home, Tuesday, November 27, 6:00-8:00, paypal me $15.00 by November 16. Three ordering options: You cut Kit--Directions and product provided, you attend the workshop at my home and cut your own paper. Precut Kit--You attend the workshop at my home and I have all the papers precut for you. Precut Kit shipped--You do not attend the workshop, I cut all the paper and ship it to you along with directions to assemble the project. I will assemble the project for you for DOUBLE the precut shipped price upon special request.